William Francis Nighy (tugʻ. 12-dekabr, 1949) — Buyuk Britaniyada tavallud topgan Ingliz aktyori va ovoz artisti. ↑ Acting Legend Bill Nighy Talks About The Pronunciation Of His Name contactmusic.com. 30 June 2006. Retrieved 10 February 2010. 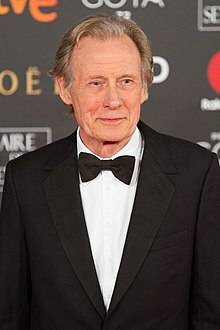 Wikimedia Commonsda Bill Nighy mavzusiga oid turkum mavjud. Bu sahifa oxirgi marta 22-Oktabr 2018, 17:33 da tahrir qilingan.